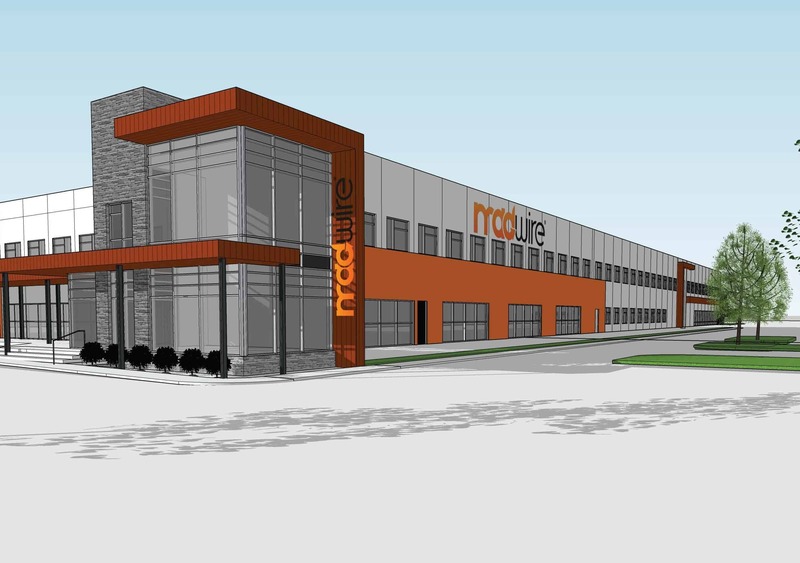 This rendering shows what the building at 3405 S. Timberline Road will look like with Fort Collins-based Madwire’s name on it. The marketing software firm has leased 102,000 square feet of the 158,000-square-foot building in southeast Fort Collins. Courtesy CBRE. FORT COLLINS — The Neenan Co. and Peakstone Development LLC have begun remodeling a building in Fort Collins that will the new headquarters for digital marketing firm Madwire. Madwire specializes in designing, developing and launching creative marketing solutions for small businesses through its marketing platform: Marketing 360. Located at the northwest corner of Timberline and Horsetooth roads, the 158,000-square-foot building was constructed in 1979 and previously was a chip-manufacturing plant for LSI Logic. It has been vacant for two years. The property, built in 1980, is owned by 2001 Danfield LLC, a Northern Colorado investor group that includes Curt Burgener, Brian Stahl, Dave Derbes and Troy Peterson, according to a news release. The remodel will feature breakout spaces, an auditorium, a gym, and an outdoor patio and deck, the release said. The project is expected to wrap up in May 2019. “Watching the vision for the space come to life has been exciting, and our team can’t wait to see the finished product.” Madwire cofounder JB Kellogg said in a prepared statement. Madwire, which plans to maintain offices at its current East Harmony Road headquarters, is rapidly expanding. The company plans to grow from about 550 employees to more than 1,200 after the new headquarters is renovated.